Shopping for a new Lincoln MKC? While the Reserve trim level boasts many amenities that we like for thousands less than the others, why stop there? Black Label goes all the way, and with a longer maintenance schedule than the rest of the lineup. The 2018 Lincoln MKC is a luxury compact crossover that’s a relative value compared to others. 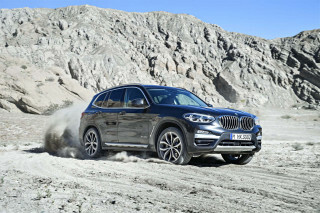 It’s an SUV with all the amenities, but without the cachet. Stare at the 2018 Lincoln MKC for too long and you might be fooled. The compact crossover SUV nails all the luxury details inside—but hardly looks the part from the outside. The only change for the MKC this year is a new number on the serial plate; or, if you prefer, it’s the same as last year. The MKC is available in Premiere, Select, Reserve, and Black Label trims. Base models aren’t base at all: power adjustable heated front seats, an 8.0-inch touchscreen for infotainment with Apple CarPlay and Android Auto compatibility, keyless ignition, dual-zone automatic climate control, remote start, blind-spot monitors, and leatherette upholstery are all standard. The base engine is a 2.0-liter turbo-4 that makes 240 horsepower and 270 pound-feet of torque. It’s rated up to 23 mpg combined and is shared with the Ford Escape, which the MKC is largely based upon. The optional 2.3-liter turbo-4, which doesn’t make an appearance in the Escape, is massively powerful and uproarious fun—if that’s what you’re looking for. Rated at 285 hp and 305 lb-ft, it’s capable of 0-to-60-mph runs in less than seven seconds and is mated to all-wheel drive only. For front-seat passengers, the MKC is remarkable in execution. The material quality and layout punch higher than one might expect from the luxury arm of Ford. Rear seat passengers may be horse-trading for space with front-seat riders—the MKC isn’t especially spacious in back. For first-time luxury buyers, small families, or empty-nesters the MKC could be ideal—the rear seat folds down to open up 53.1 cubic feet of space in the cargo area. Premiere trims start at nearly $34,000, while Black Label models can reach into the mid-$50,000s without breaking much of a sweat. The Lincoln MKC makes good on the luxury promised by the automaker—especially on the inside. Over the past few years, Lincoln has righted the ship that couldn’t find a direction and adopted a cohesive look for its SUVs and sedans. While the MKC is based on the Ford Escape, it doesn’t share many of the same looks—that’s a good thing. The MKC gets a “split wing” grille that’s standard fare on all the automaker’s SUVs. 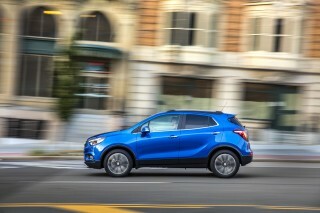 In profile is where the MKC shows a few similarities to the Escape. At the rear, all is forgotten with the Lincoln’s bulbous (or voluptuous?) rear end. The MKC is a pleasant mix of sharp creases and softer lines, but others in the segment have the formula down better. Compared to the new-look sedans, Lincoln’s SUVs look a little dowdy by our eyes—not bad, but just not as sharp. The MKC makes up all that ground, or more, on the inside. Lincoln’s designers have a greatest hits album going: Genuine open-pore wood, brushed metal, organic lines, and a “curated” palette of colors in Black Label trim—all the chart-toppers are here. From the front seats forward is elegantly simple, albeit fairly straightforward. Reserve trims and higher get Bridge of Weir leather (it’s another way to say Scottish) and a dual-pane sunroof that opens the cabin up to plenty of natural light. The center stack drops down between the front passengers in a way that belies its packaging—the MKC feels bigger than it is. The MKC uses colors and packaging to right the wrongs made by Ford, and it mostly works. No Lincoln MKC is underpowered, but the small crossover’s uprated engine is entertaining. 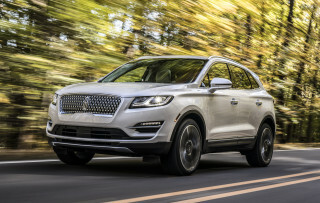 The Lincoln MKC has a quiet confidence about its ride and handling that suits its luxury-SUV intentions. That’s not what has us gaga though; its powertrains are unintentionally entertaining in ways that we’re not sure engineers had in mind. The base engine is a 2.0-liter turbo-4 that makes 240 horsepower and 270 pound-feet of torque. Mated exclusively to a 6-speed automatic, it’s available in front- or all-wheel-drive configuration and aptly powers the MKC. It’s possible to catch the turbochargers napping, but corner-exit speed isn’t the MKC’s mission. The base engine mostly stays out of frame, a quiet accomplice when hushed by Lincoln’s standard active noise cancellation—quieter still with last year’s addition of standard stop/start systems to save fuel at stoplights. The optional pick is a 2.3-liter turbo-4 that makes 285 hp and 305 lb-ft and we won’t mince words: it’s overpowered. 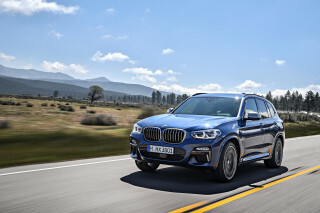 Only available with all-wheel drive, the optional engine that’s available on Select trim levels and higher, is mated to a similar 6-speed automatic that helps shift the MKC up to 60 mph in less than seven seconds. Ideally, the optional engine is for mountain runarounds, highway jaunts, or semi-frequent grins. 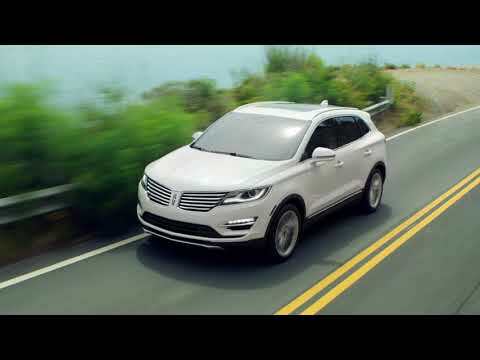 Regardless of engine, the Lincoln MKC tames its ride through an available continuously controlled damper setup that can dial up varying levels of stiffness. The problem? Diagramming that behavior requires a semi-complicated series of button presses on the pushbutton shifter, or the steering wheel, or both. Setting the MKC into “Sport” mode requires one push of the “S,” a semi-manual mode can be engaged by pushing it again—not necessarily intuitive. Customizing the suspension’s behavior is dictated through a semi-buried set of menus that can be found on the driver information cluster. It lives its best life when the roads are relaxed—along with the pace. The MKC’s adjustable suspension irons out most bad road behavior, better than the base setup by our backs. The MKC’s ride and handling are comparable to others in its segment, including rivals from Audi and BMW. Our hands tell us that the Sport setting may be on the firm side, but the MKC doesn’t seem willing to give up grip, lean too heavily, or bound over any road. The MKC is rated to tow 3,000 pounds with either engine. The 2018 Lincoln MKC is refined and quiet for front-seat riders, but rear-seat passengers may be pressed for space. The 2018 Lincoln MKC offers a luxury-car experience through and through. The materials can range from nice to decadent, with wood accents throughout the cabin, and active noise cancellation to keep the outside, outside. Lincoln’s pushbutton transmission returns this year with mixed feelings. It’s an interesting idea, but one that falls down in execution because the buttons never feel completely intuitive. The rest of the controls are better and easier to use—not something we could say about Lincoln just a few years ago. The front seats are supple and spacious, and punch higher than the MKC’s entry price of nearly $34,000 would suggest. Base seats are shod in synthetic leather and cloth, while Black Label trims are complete with Venetian leather upholstery and Alcantara headliners. Each step along the way is interesting, including Bridge of Weir leather upholstery at the Reserve trim level. Lead-footed drivers may notice a lack of side bolsters in extremely spirited drives, but we say slow down anyway—it’s a Lincoln. Rear seat passengers may struggle for head room and leg room, we’ve found. The 36.8 inches of leg room is hampered by big front seats, and while the outboard positions in the back are decently sculpted, there’s not much cushioning to be found all the way around. The available dual-pane sunroof eats into available head room that we’d go as far as saying that if you regularly carry four adults, it’s worth skipping the available sunshine. All MKC versions boast split-folding rear seats that open up the cargo area from 25.2 cubic feet with the seats up to 53.1 cubes with the seats folded down. The ride is especially quiet in the MKC with active noise cancellation in Reserve and Black Label trims. The Lincoln MKC lacks a full set of safety scores. Federal and independent testers haven’t comprehensively crash-tested a Lincoln MKC since it was new. When federal testers last crashed the MKC in 2016, the scores were mixed. The Lincoln earned a four-star overall score, which is somewhat worrying, including a four-star score in frontal and rollover crash safety. The IIHS hasn’t yet put the MKC through its full battery. Without a comprehensive crash tests, the Lincoln MKC comes standard with a full complement of airbags for all passengers, including dual stage front airbags and a driver’s knee airbag. A rearview camera is standard on all models, and blind-spot monitors are optional on most models. The Lincoln MKC otherwise skips other advanced safety features that appear on other competitors. The Lincoln MKC represents good value among smaller luxury crossovers. Lincoln has brand cachet in and around Dearborn, Michigan—and that’s about all. 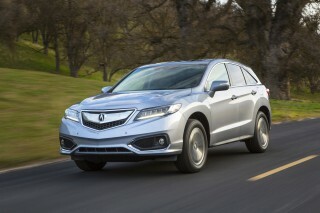 If you prioritize the badge affixed to the nose of your crossover, Lincoln may seem like an also-ran. If you prioritize the value offered inside your crossover, everyone else may seem like an afterthought. Even base models of the 2018 Lincoln MKC get heated seats, dual-zone automatic climate control, keyless ignition, remote start, 18-inch wheels, power liftgate, a rearview camera, a nine-speaker stereo, and an 8.0-inch touchscreen with Sync 3, Android Auto and Apple CarPlay compatibility. Stepping up to the Select trim level adds leather upholstery and better seats. Its value is debatable, but more options are available at this trim or higher. 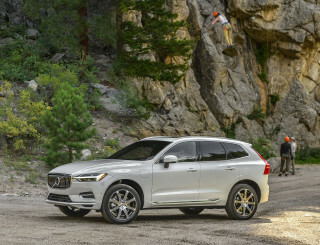 Reserve trim levels start to resemble high-priced luxury competitors and offer a dual-pane sunroof, navigation, heated and cooled front seats, softer leather hides, wood interior accents, and blind-spot monitors. All the way at the top, Lincoln’s Black Label treatment buys 19-inch wheels, an upgraded leather interior, Alcantara headliner, a “curated” menu of colors, expanded scheduled maintenance, concierge services, and continuously controlled dampers. Several of the features on higher trim levels are available as stand-alone options lower on the totem pole. Continuously controlled dampers are available on Select trims or higher, same goes for navigation and the dual-pane sunroof. Blind-spot monitors are curiously bundled with navigation, which we’re not wild about. The uprated 2.3-liter turbo-4 is available on Select trim levels and higher. All-wheel drive is standard on that engine and an extra-cost option on the rest of the lineup. The Lincoln MKC is comparatively fuel-efficient for a luxury crossover—on paper. The 2018 Lincoln MKC has good and bad stories when it comes to fuel economy. Most versions of the MKC are rated nearly identically, regardless of engine or driven wheels. Opting for all-wheel drive with the base engine drops those ratings to 19/25/21 mpg. 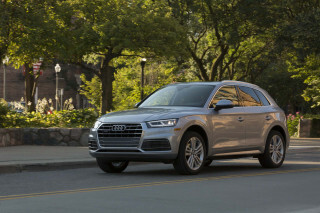 Stepping up to the larger 2.3-liter turbo-4, which is only offered with all-wheel drive, shaves 1 mpg from city and combined figures: 18/25/20 mpg. The bad news: In real-world driving, we’ve had difficulty matching those figures. The EPA provides those figures only as comparison estimates, but in our opinions, they’re highly optimistic. 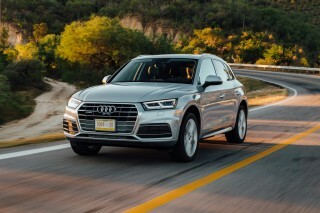 Most competitors manage better fuel economy, including the Audi Q5, which is rated at 25 mpg combined.